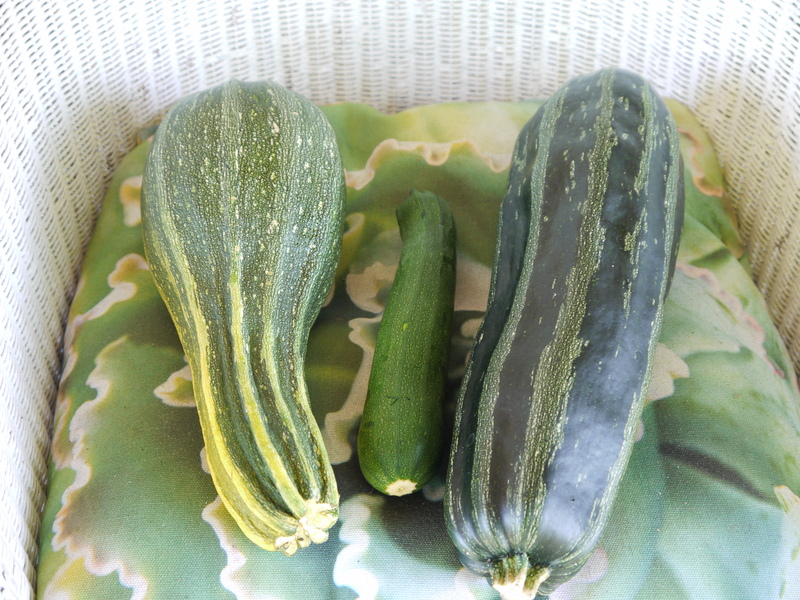 When life gives you zucchini…..
Every few days, I find gifts of zucchini on our front porch. My neighbor has a prolific garden that is producing more squash than they can handle so she generously shares some with us. For the ones that are especially big and hard, I bake them into a chocolate cake. 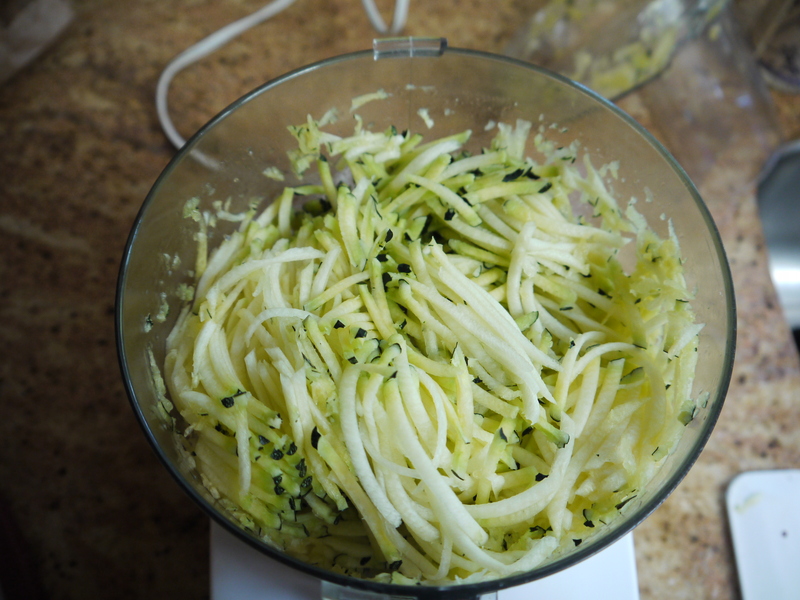 The food processor makes it really easy to grate the zucchini quickly. For this recipe, you want 4 packed cups, or about two medium or one large zucchini. 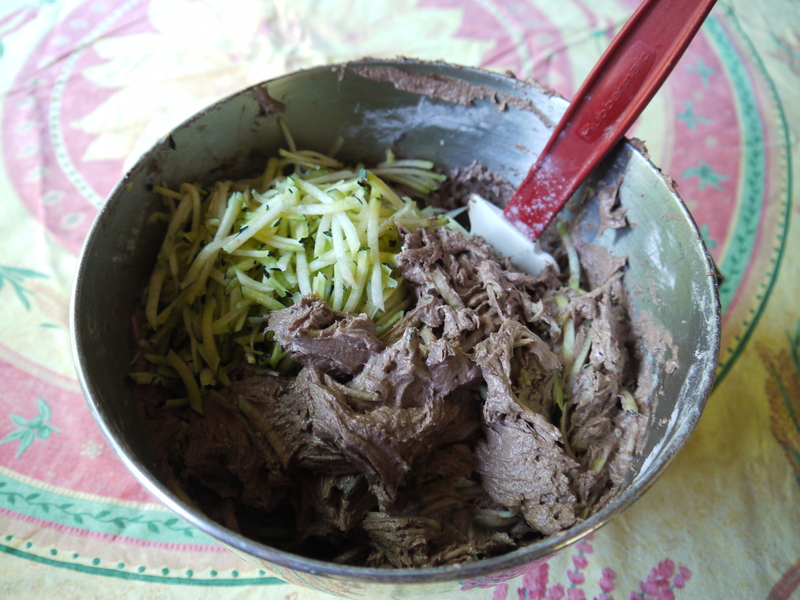 The cake batter is a snap to put together, then the shredded zucchini gets folded in at the end. As the batter bakes, the shredded squash melts into the cake, adding an appealing moistness. The recipe makes 2 1/2 dozen cupcakes or 2-8″ cakes for layering and the flavor is deep, dark, choclatey and delicious! And…it makes having too much zucchini a real bonus! For cake: Preheat oven to 325. Cream butter and sugar in the bowl of a stand mixer using the paddle attachment. Add the oil and mix until combined. Add the eggs one at a time, beating well after each addition then mix in the vanilla. Combine all the dry ingredients on a sheet of waxed paper then add alternately with the buttermilk. 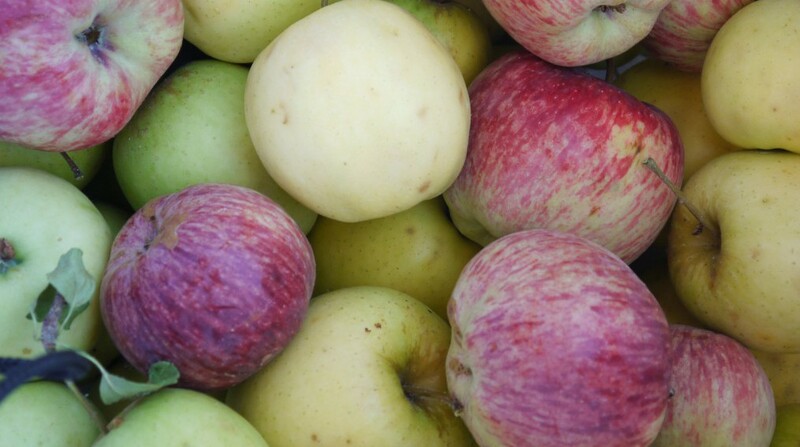 Divide batter among 2 1/2 dozen paper lined muffin tins or 2 greased 8″ cake tins. Bake for 30-40 minutes for cupcakes of 1 hour and 20 minutes for layers, until a toothpick inserted in the center comes out clean. Remove from oven and set aside to cool. For icing: Melt chocolate chips in microwave on high in 30 second bursts until nearly melted. Remove and stir with a rubber spatula until fully melted then mix in sour cream unit spreading consistency is achieved. Use immediately as the frosting will begin to harden as it gets cooler. 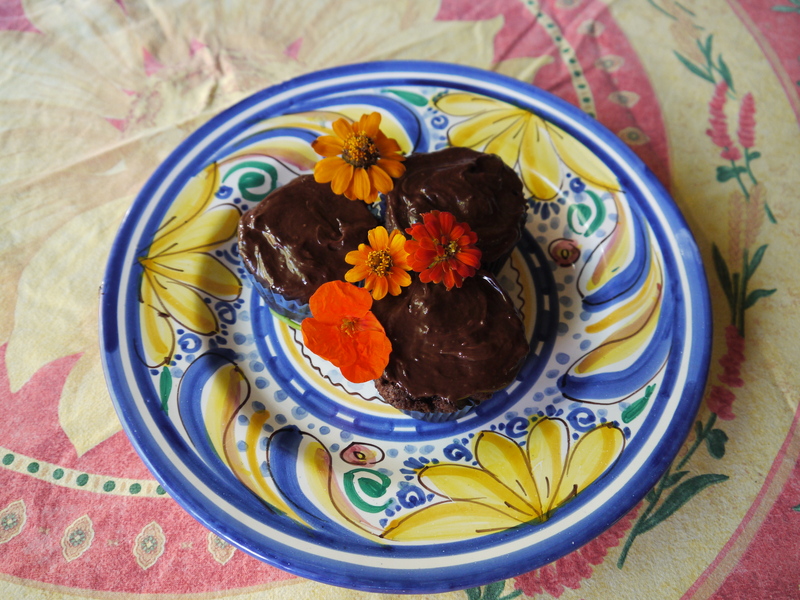 This entry was posted in Desserts and tagged cake, chocolate, cupcake, Guittard chocolate, zucchini. Bookmark the permalink.